Mark Barnett has a broad background in sales, marketing, pastoring, music, and technology. Currently he has a lawn care business that he greatly enjoys, helping to make our city more beautiful, but spends much of his spare time working on video productions of various kinds. He has produced over a hundred videos – some of which can be found on YouTube or Vimeo. In the past he has formed church orchestras in Topeka and Minneapolis. In addition, he has begun church choirs and put together numerous ensembles in many churches throughout the country. Playing the piano is one of his favorite leisure activities. Lately, he has picked back up his interest in Concert Productions, pulling together remarkable musical talent from the local area in both the youth and adult sectors. He loves seeing young people work hard and develop their musical skills to an enjoyable and entertaining level of expertise. The first production of the Mark Barnett Music Festival Series (now the Siloam Music Festival Series) was a private Home Concert at his brother and sister-in-law’s home (James and Marilyn Barnett) on March 18, 2012. About 65 attended, and it was immensely well-received (see Concert Reviews). Since then Mark has produced eight more free public concerts involving 230 local musicians with attendance around 3,500 from the Siloam community. You can check out all the videos from the nine concerts on the Video Links Page. Mark has a huge passion for spiritual and eternal things, especially everything pertaining to the exegetical study of the Bible, which he has read many times. Although he has gained great wisdom, knowledge, and understanding from others, most of his Biblical understanding has come through deep and intense prayer and study while facing and overcoming many difficult experiences in life. Mark has a strong desire to do more writing on Biblical topics of interest, especially on the subject of the God-man relationship as it relates historically and prophetically. He is a member of the Seventh-day Adventist Church in Gentry, greatly enjoys attending church with his parents at the First Baptist Church in Siloam Springs, and shares the same methodology for evangelism as demonstrated by Willow Creek Community Church in Chicago, where he has attended several Leadership Conferences. He has a great love for people from all walks of life, whether Christian or not. He has come from beautiful and humble Christian roots, being the fifth-of-seven children of Ray and Laurine Barnett, who celebrated their 74th anniversary on November 17, 2014. Mark graduated from Siloam Springs High School in 1972. Since then he has completed a B.A. in Theology from Union College in Lincoln, Nebraska; a M.Div. from Andrews University in Berrien Springs, Michigan, and a M.A. 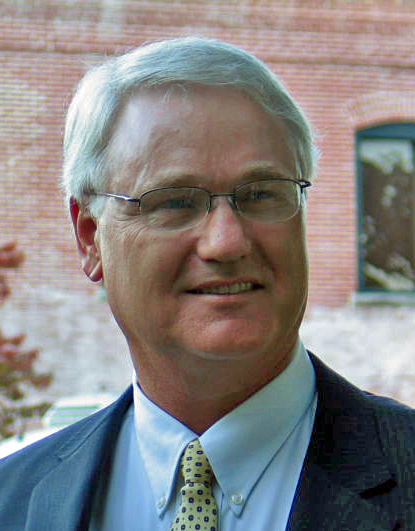 in Educational Technology from George Washington University in Washington, D.C. Other universities that he has attended along the way toward completion of these degrees are: John Brown University, Texas Christian University, Washburn University, Trinity Evangelical Divinity School, and the University of Arkansas. Mark is married to Sandra, who is a CPA for Houston and Company Public Accounting in Siloam Springs, and is very, very proud of his three boys, Michael, Stephen, and Christopher, his daughter-in-law, Amanda, and his grandsons, Jacob and David.